I was walking out of my bedroom this weekend and a putrid nostril hair curling smell hit me as stepped into the hall way. At first I thought some sort of animal had died in my hot water cupboard. So I opened the door to find my flatmates wet running shoes stuffed with newspaper – drying next to the hot water cylinder. The trouble was this smell was permeating the air and creeping into my bedroom – and making me feel physically ill. The trouble with shoes is they are often left in wet, dark places, we step in puddles, we sweat and bacteria builds up which can produce a down right foul smell. This is something I usually find happens when I do not wear socks in my shoes. So I grabbed her my bottle of gran’s remedy to use in hope that this smell would be banished in 7 days – as I was not keen to experience that smell again – if possible. 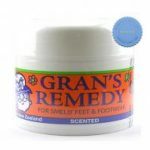 What you need to know about Grans Remedy Powder. It was developed by a Grandmother from New Zealand in 1982 and has since been used by people around the world to treat foot odour. Unlike other products that just mask this smell, this powder can be sprinkled into your shoes to deal with the odour, bacteria and smell. 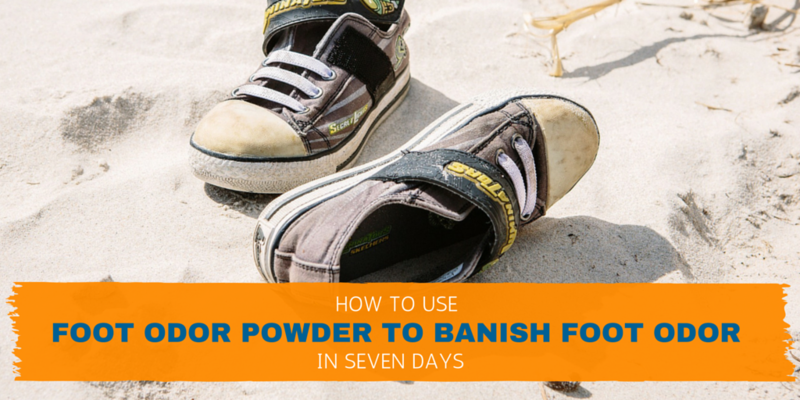 The best thing is you use it for 7 days, in the pair of shoes you wear the most, and the powder sticks to your shocks and feet to help treat all of your shoes. Here is a short video from a New Zealand Television Segment called family health diaries that shows you how it works. I have used this product in the past to treat my favourite casual walking shoes. These were ballet flats I wear with jeans and can not really wear socks with. You do feel the powder on your feet – it is a similiar texture to talc and it works to absorb any moisture and wetness. 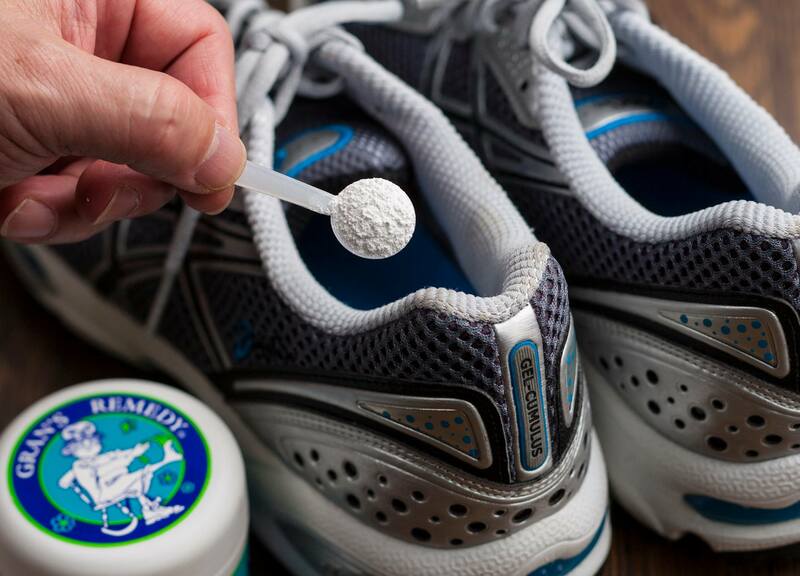 The powder sticks to your feet and transfers to other shoes you wear (like running shoes or sandles) if you change shoes during the day so a little goes a long way. I have also used the powder to treat luggage and a matress that smelt moudly and musty from being packed in storage and it worked a treat! 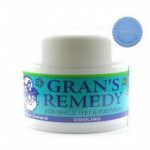 How to use grans remedy. What does Grand’s Remedy Powder smell like? There are three varieties of this foot odor powder. The original formulation which is not heavily scented, but works to neutralize the odor in your shoes. A Citrus scented powder and a cooling one with notes of peppermint. They all smell a load better than foot odor that is for sure. They all work the same way – you sprinkle a small amount of the powder – using the measuring spoon in the bottle into one pair of shoes for 7 days. And you get up to 6 month of treatment against foot odor. 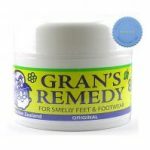 Who might use gran’s remedy? If you are embarrassed to take off your shoes in public. If you keep your shoes in your wardrobe and they make it smell musty. If you keep your shoes by the front door and don’t want to greet guests with the smell of foot odorAre you keen to compare these products or learn more? You can head to our web store to shop and compare foot odor products. We ship all of these products internationally in 6 – 12 days and you can calculate the cost of shipping to your country by adding your country ad post code to the shopping cart (we use these to figure out how much it will cost to ship it to you). Want to pin this product and come back to it later?